Why do only some ants sting? Here’s one bit of information that might be useful for anyone thinking about starting a blog. The ScienceBlogs network- which hosts Photo Synthesis– is driven by Moveable Type software. 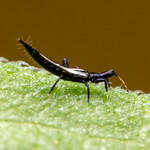 The Myrmecos Blog uses WordPress. Having spent time now in both platforms, I’ve decided that I much prefer WordPress- it’s more intuitive, more flexible, and it handles images more smoothly. This isn’t to say that blogging for ScienceBlogs was in any way unpleasant. It wasn’t. Moveable Type worked fine for what I needed it to do. I just like WordPress better as a blogging application. Enjoyed every one of your posts at photosynthesis. Glad to know that I`ll still get the same great content here. Thanks for sharing all your posts with us Alex at Photo Synthesis. 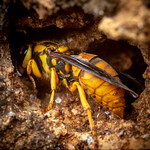 Your photos were exquisite as usual and I really enjoyed the post about the evolution of stinging in ants. Wonderfully educational! I hope the wider exposure will allow a greater number of ant/photography/naturalist enthusiasts to experience your photographic talents. Again, we all appreciate you sharing your macro photography “secrets” with us! I’m so glad I discovered you through Scienceblogs, Alex. I love your photography, and your blogging. I’ll be following this blog now, with great interest. I have never tried Moveable Type, but I’ll second your comment about WordPress. It is the best web application I have ever use and I keep getting impressed by its flexibility. Great work at Photo Synthesis, but nice to see you back. I’ll second Roberto’s comment who seconded your comment about WordPress. I’ve very happy since migrating over from Blogger.